HVAC Contractor | Atlantic Refrigeration and Air Conditioning, Inc. The internet has changed the way we find businesses. Whether we’re looking for somewhere to eat or you’re looking for an HVAC contractor that will get the job done right, the first thing we do is an extensive internet search before we even get on the phone with someone. Doing research will certainly help you find the best HVAC contractor, but only if you know what to look for. 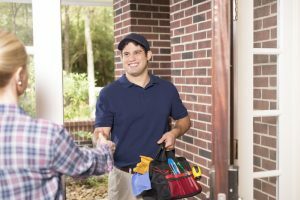 Today, we’ll help you in your search by offering a few pointers on how to find an HVAC contractor worth your time. We’re still in the throes of winter, and new building projects usually don’t start work until the weather has improved. But planning for new construction projects starts right now, and if you’re planning on putting one up, you need a quality HVAC contractor on your side from the first day. Every building needs a quality heating and air conditioning systems, no matter what its purpose is or how large it will be. Our Cold winters and hot summer demand it. And the sooner you can get an experienced HVAC contractor service on your team, the better. If you’re looking to install a new HVAC system in your home or business, the smart move is to contract a dedicated HVAC contractor service to perform the operation the right way. 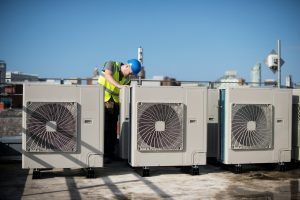 Countless problems with heating and cooling systems – both residential and commercial – can be prevented simply by ensuring that the right team installs your system the right way. We’re in the throes of winter right now and big projects like HVAC installation will likely need to wait until spring. But now is the time to start planning such installations, and with a strong contractor service in your corner, you can make sure your new system works exactly as intended. New construction projects generally don’t begin until the spring: avoiding complications incurred by cold weather and snow in the cooler months. 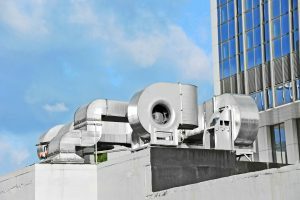 But you’re likely planning your project now, and no matter what it is – residential, commercial or otherwise – it’s going to need a reliable HVAC system. That means you want a proper HVAC contractor on your side: someone who knows how to install a new system, not just repair an existing one. And if you’re planning and preparing for your operation now, you should have the right team on your side to help. Why? Here’s a quick guide.